Although Toronto has hosted the world of sport with the PanAm and ParaPan Am Games this month, we musn't forget the progress being made at OHML – and we want to get you involved! 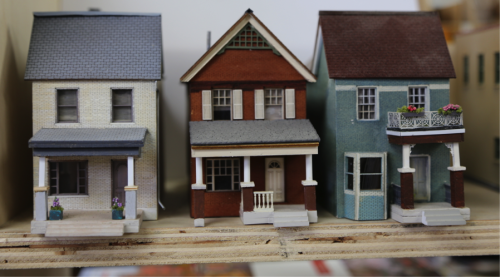 We also go deep to showcase our laser cutter-engraver – the workhorse behind all the buildings in our exhibit. 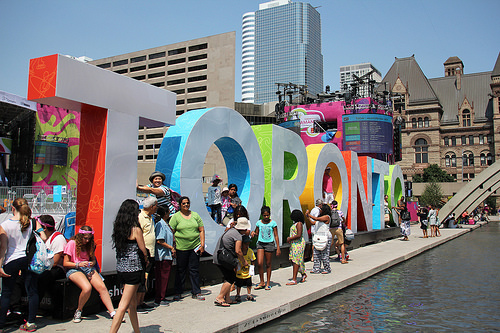 PanAm Games Sign: Where to Go with “TORONTO”? When the PanAm and ParaPan Games are complete, the City of Toronto will ask the public where the big “TORONTO” sign should be placed. Our team at Our Home and Miniature Land has decided to launch an invitation of our own We invite you to indicate which place you think is best for the final resting home of the sign. One reason our current exhibit has been getting such rave reviews is how we do the construction with a laser cutter-engraver. This machine is used to cut the individual pieces of our scratch build structures. 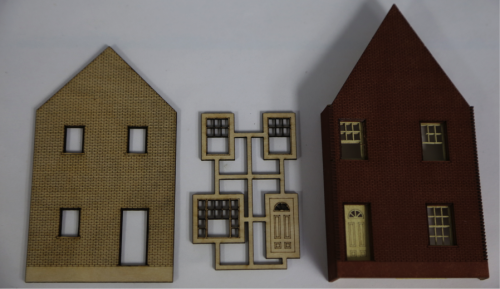 The laser-cutter significantly shortens the time required for preparing, cutting and sanding in our construction process. It also helps us when we add intricate details to our structures - like window frames. 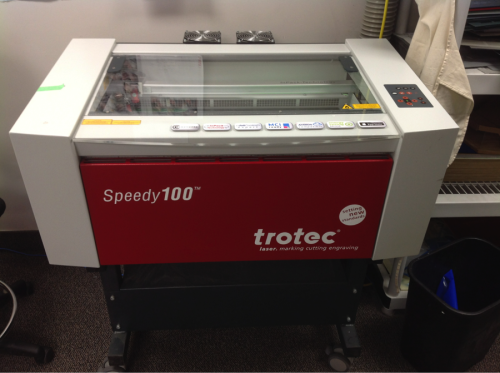 We purchased the Trotec Speedy 100 30W laser-engraver (www.troteclaser.com) from its Canadian distributor located in Mississauga, which of course makes it more convenient still. We are neighbours! Trotec is a true partner. They recently visited our demonstration exhibit and produced a four-minute video showing how we use the Trotec Speedy 100 at OHML. The technology is amazing! With the help of a computer, we determine the strength and speed of the laser, depending on what needs to be engraved or cut at the time. (Higher strength and slower speed lets you cut right through plastic and wood. 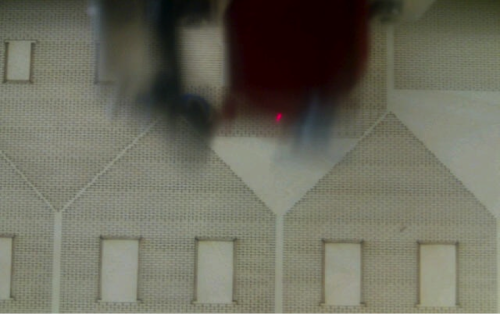 But faster speed and lower strength lets you engrave the more intricate work such as shallow lines, letters or shapes like the tiny brickwork in the picture above). We have certainly come a long way since we first started using a laser cutter-engraver. Our team has perfected its skill with this technology. 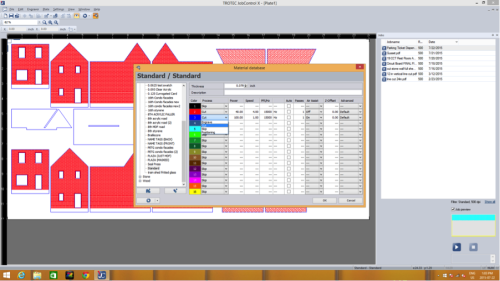 Today we can replicate existing buildings and structures with tremendous detail and speed. It makes for a very efficient process. 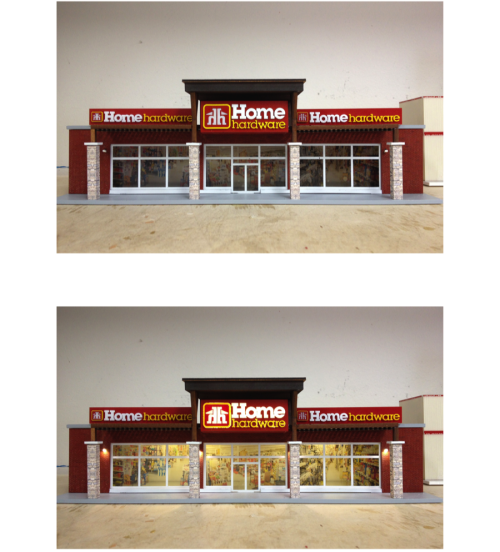 Here is an example of one of our most recent models, the Home Hardware store (replicating the existing store at Maple Grove Shopping Plaza in Oakville).